Like our recent post of a classic space mecha dinosaur, this one mashes up quite a few things. 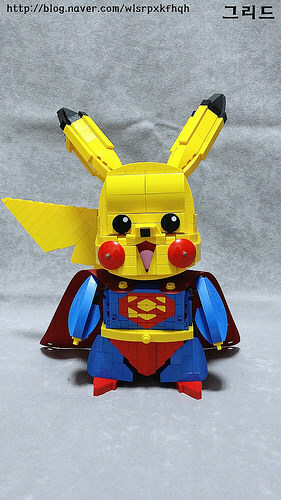 Courtesy of Greed (승훈 이) we have a Pikachu that has taken to dressing up like Superman. Maybe this takes inspiration from the “cosplay Pikachu” mechanic from the new Pokémon games. Regardless, mixing up three franchises that I’m a huge fan of is a definite win for me.